Discover the perfect place to call home in Champaign Urbana. We offer smartly designed and stylishly conceived studio or spacious, traditional one and two bedroom apartments. 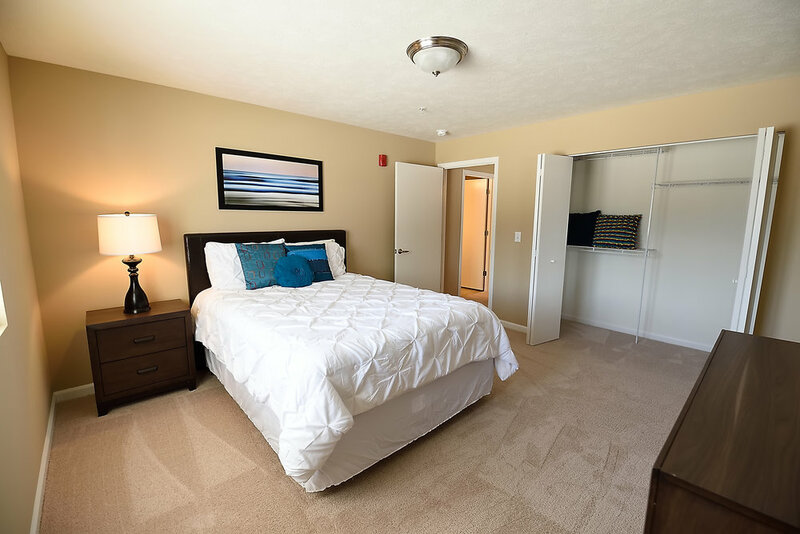 Eastland Apartments are conveniently located minutes from the University of Illinois, Carle Hospital, area shopping and downtown Urbana events. Eastland Apartments are perfect for everyone seeking a home with the comforts of year round amenities and on-site maintenance. We have what you need. We have the space so that you can study, work, play, and enjoy your free time swimming, eating, or working out at our beautiful Eastland Suites hotel adjacent to the community. What are you waiting for? Schedule a tour today! What types of apartments are you interested in seeing? Our community is set on over 10 acres with spacious floor plans. Eastland Apartments offer a balcony or patio overlooking a beautiful courtyard. We also have year round access to a huge indoor heated pool, 9 station fitness center and flexible lease terms. A lounge/restaurant, video gaming, and convenient store are all just across the courtyard. There is no through traffic and off-street parking is free!